Europe has a new destination for prestige shopping, culture and entertainment, housed within a magnificent historical building in one of the most iconic cities of the world. 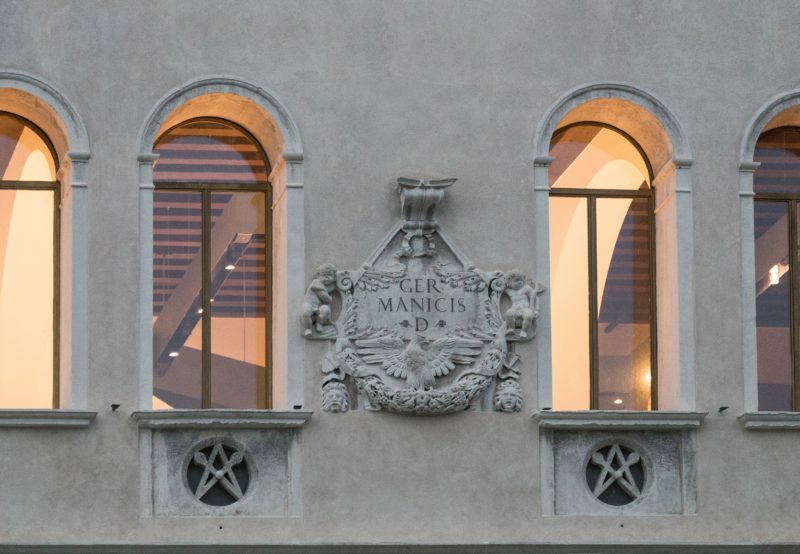 By renovating the ancient Fondaco dei Tedeschi with its contribution, DFS has restored glory and honor to a historic monument conceived for the first time in 1228 for commercial and trading activities in Venice between the East and northern Europe. 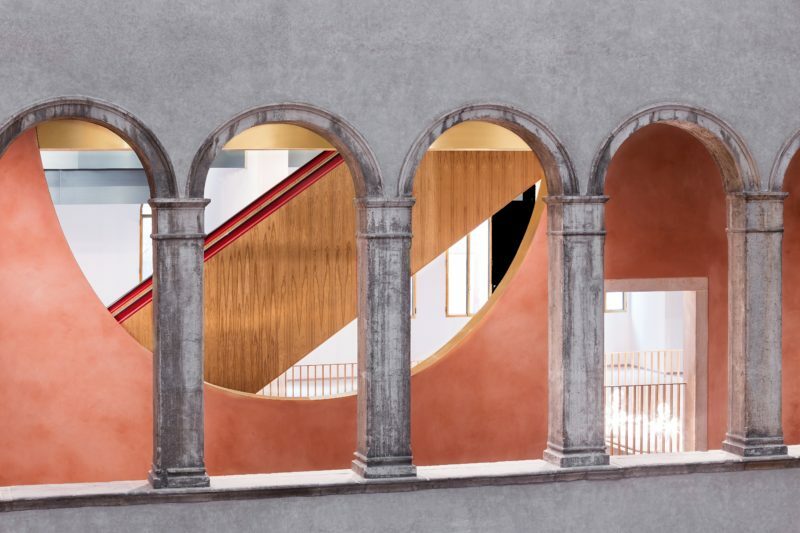 Its respectful transformation and careful mix between historical and modern, with national and international goods, makes the T Fondaco dei Tedeschi the new and most original Venetian and worldwide reference hub in the sector of luxury departments stores. “It is an enormous privilege for DFS to be able to make its first European foothold in Venice, the center of global trade for many centuries and now one of the most popular travel destinations in the world,” said Philippe Schaus, DFS Group’s Chairman and CEO. 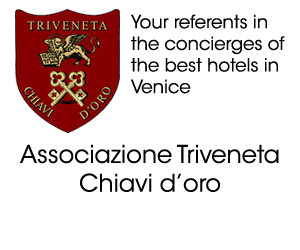 A place for trade and business meetings, during its heyday it was earning half of the fiscal revenues of the city of Venice and was a world center for exchanging the most important and strategic goods, used by influential trading families like the Fuggers, the Wolffs, the Prauns, etc. In 1502, when the Fondaco was destroyed by a fire, Doge Loredan stated: “Today Venice has lost wealth equal to the entire city of Amsterdam”. 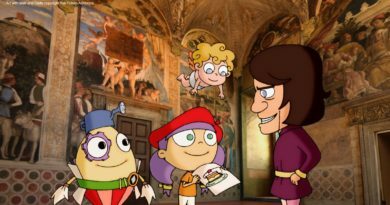 The Fondaco was immediately rebuilt larger and more securely, by order of the Venetian Senate, in only three years, until it reached our age in its current state. It was used as a warehouse and as a market by the great German merchants, as a Customs-house under Napoleon and more recently as the city main Post-office. Co-founded by shareholder Robert Miller, nowadays DFS, which is part of the biggest private luxury conglomerate worldwide Moët Hennessy Louis Vuitton (LVMH), is offering 7,000 square meters of retail space within the ancient building thanks to intervention from the top professionals in the world of architecture, engineering, design, crafts, furnishing, merchandising, and… cuisine. Among them, is architect Rem Koolhaas with his OMA studio, who followed the restructuring work on the building, architect Jamie Fobert, who signed the store interior design and, from November, the restaurant, envisaged by Philippe Starck, with its menu conceived by Massimiliano Alajmo, the first Italian awarded with three Michelin stars. 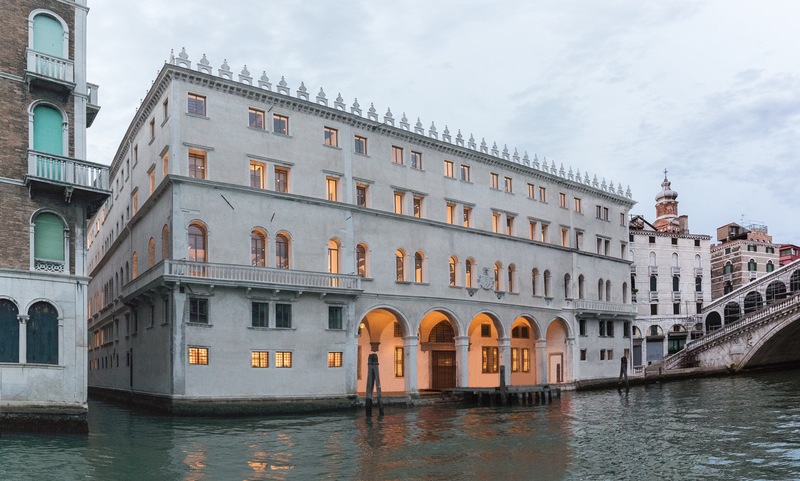 T Fondaco dei Tedeschi, opening on 1 October 2016, will offer an exceptional collection of luxury products and a new cultural hub to the city of Venice, with events and exhibitions. 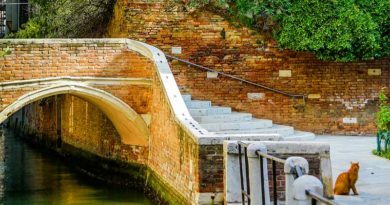 Overlooking the Grand Canal, a few steps away from St. Mark’s Square, the T Fondaco may be reached on foot both from Campo San Bartolomeo or from the Rialto Bridge. The ground floor opens onto a large central covered courtyard from which one may already see the geometric architectural pattern created by inserting a reversed monumental arch along one of the inner walls, which interacts in harmony with the original arches of the inner portico. Here, in the covered lobby lit up by natural light, three emblematic Italian passions meet: good cuisine in its most excellent variations, design and culture. The restaurant, with its interior designed by Philippe Starck, offers creative dishes with a modern twist to enhance the taste of tradition, at any time of the day. A Food Hall offers a thorough selection of the best national products. Italian wines, extra-virgin olive oils, pasta and more, together with colors, lights and a distinctive decor, animate a refined and special atmosphere where anyone wishes to feel Italian, even for the duration of a simple meal. To ensure the quality of its products, T Fondaco dei Tedeschi has created its own label, called “La Bottega di Rialto”. On the ground floor, DFS has also set up a souvenirs and gifts boutique thanks to the involvement of the Confartigianato Venezia, an association of artisan, to protect and promote excellence quality in the products created and offered. 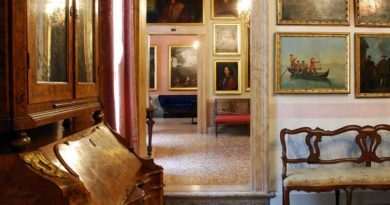 It is thus possible to buy goods at T Fondaco dei Tedeschi ranging from real “furlane” gondolier slippers, to Burano lace, to the best samples of true Murano glasswork. 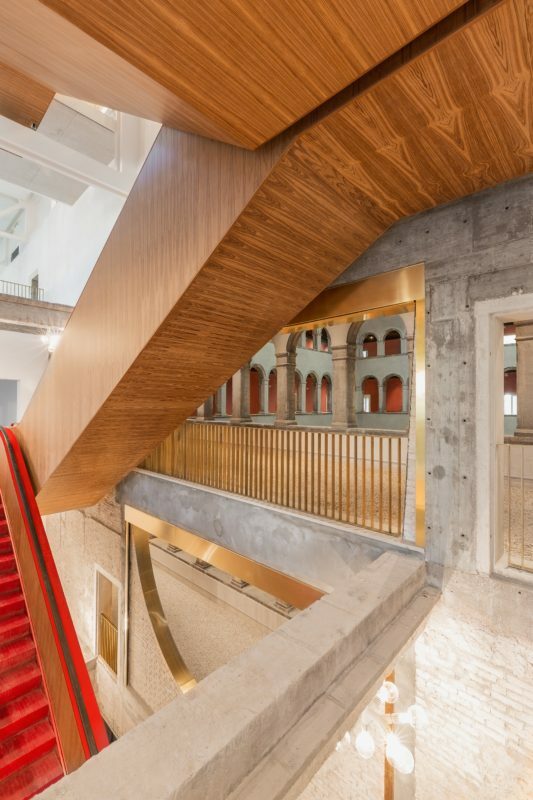 From the rich red-hued escalator with wooden trims one may access the upper floors and discover and appreciate the furnishings designed by architect Jamie Fobert. On reaching the mezzanine level, with a concierge and customer services desk available manned by highly helpful staff, a unique view may be admired of the Rialto Bridge from the Loyal T lounge. Continuing to the first floor, a selection of women’s designer fashion and accessories may be found, from renowned Italian and international brands such as Fendi, Lanvin, Max Mara and Valentino, as well as a wide selection of jewelry from prestigious houses such as: Bulgari, Damiani, Pomellato, Roberto Coin and Tiffany & Co. 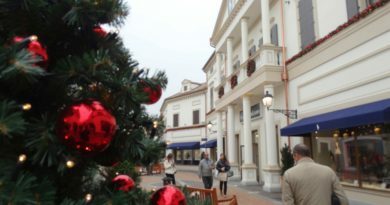 The second floor is where the luxury watch area is, with brands like Cartier, Hublot, Omega and Panerai, as well as a range of men’s fashions and accessories from labels including Brioni, Burberry, Salvatore Ferragamo, Moncler and Ermenegildo Zegna and yet more. The Venetian terrazzo corridor on the third floor offers a breathtaking view over the central courtyard below, as well as access to a ladies’ shoe-salon with products from international brands such as Aquazurra, René Caovilla, Jimmy Choo and Giuseppe Zanotti and a beauty and perfume hall with Acqua di Parma, Dior, Estée Lauder, Lancôme and The Merchant of Venice. DFS wished to enhance the T Fondaco by endowing it with an area dedicated to cultural activities. 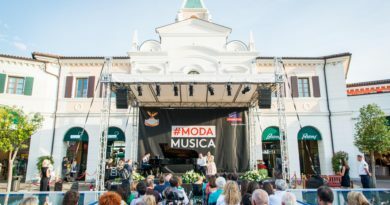 To do so, in the tracks of the historic Fondaco dei Tedeschi, the addition of a pavilion on the fourth floor has enabled the creation of real contacts between city life, commerce and tourism. In collaboration with artists and cultural institutions, exhibitions, conferences, lectures, screenings, concerts, debates will be hosted in this new space flooded with natural light thanks to its glass ceiling. 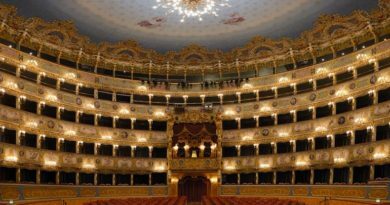 The Fondaco thus becomes a new and original location for the arts and culture in Venice. 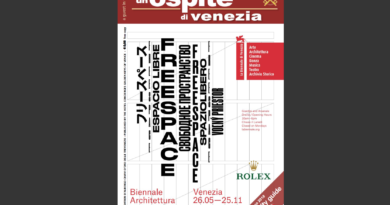 The inaugural exhibition, open to the public from 1 October and until 15 January 2017, shows the links between East and West created by the relationships forged in Venice, through a site-specific installation by one of the most respected artists in Italy, Fabrizio Plessi. A unique way of honoring Venice, its heritage and the opening of T Fondaco dei Tedeschi, through the repeated screening of fragments of ancient mosaic submerged by moving water, which turns them into something unexpectedly fluid and dynamic.